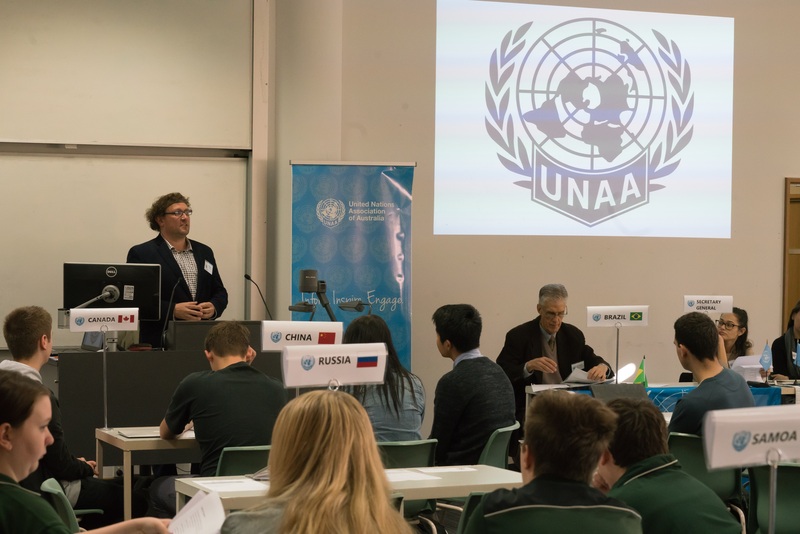 It was my pleasure to be guest speaker at the United Nations Association of Australia, Victorian Division’s Model UN conference on “Combating Climate Change: Committing to Global Action” at the La Trobe University Bendigo campus on Friday 12th May 2017. Student participants attended from high schools in Bendigo, Wangaratta, and Cobram. Each school group represented a different country in the mock negotiations. The conference is in association with the UNAA, La Trobe’s Department of Politics and Philosophy and the College of Arts, Social Science and Commerce Secondary School Outreach. Outreach advisor Jenny Snelling said the conference offered experiences to build skills relevant to schools, university study and the workforce: “Students step into the shoes of country ambassadors and use skills of negotiation, diplomacy, dialogue and negotiation, present their assigned country’s position and move amendments to a draft resolution, Jenny said.